PS : 4th Dec is the Navy Day and it brings back a rush of memories of the years spent donning the uniform. This is a small tribute to the great service!! That is an adorable shot! A Big Salute and hats off to you all... Rahul sir. Thanks a lot Ramya for those very kid and adorable comment:)You made my day!! That's a wonderful tribute to the men in white!! Proud of them!! The last shot is so very lovely and thank you for this poem as it brings in me a rush of pride! A big Salute to the great men in white! Arti, your comments give goosepimps:) A big thanks for those ever kind words! The Indian Navy stands as an integral blend with the Army on the borders of the country. Many have sacrificed their lives forgetting the raw fear protecting the country! Great poem, a wonderful tribute to the real heroes!So well penned, Rahul. Indeed the sacrifices of so many make us what we are today, Panchali!! My sincere thanks for your words of appreciation!! What a lovely memorable image! This is a wonderful ode to the Navy and their courageous plight and brazen spirits! A huge thanks for liking the poem and also the snap, Sam!! People in uniform in any part of the world deserve respect!! I completely agree, and better salaries too, I do believe (well here anyways). You can't put a price on people risking their lives. Thank you, Sam ! Wish more people realise this:)Each job is however, important!! A wonderful tribute to the men and women of the navy and recapturing your memories of your days in the naval service. That is a lovely photo of you and your daughter. My Dad was a navy man also and very proud of him too. Wow Dianne, you too belong to the Naval fraternity and similar background!! Am sure it must have brought back a flood of memories!! AH nostalgia is written all over your tribute to your alma mater. 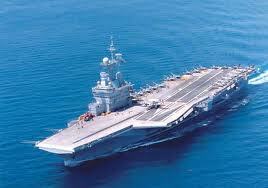 A very big salute to the Indian Navy for its spirit of valour and sacrifice especially..hats off.. Loved it and it perfectly encapsulates the Naval time and tides.. I carry some lovely memories of my time in Navy for sure, Latha! Thanks a lot!! and merry men are we." And my chest puffed up in pride, while reading your ode. You must very proud of that white uniform and the days you spent there protecting us and helping us and our family sleep well. Very good lines, Rahulji! My cousin was in navy and he too reminisces his days with the navy with happiness. Your cute daughter must be very proud of you! You look great in the picture! Beautiful! My best friend's dad too was in navy and he was posted in Goa for a long tenure. Used to love hearing her childhood stories. Your picture with your daughter reminded me of her. Nice poem and a wonderful tribute for the celebration of Navy Day. Thanks a lot Eden for your kind wishes! Amazing...Its a wonderful composition and wish you a happy navvy day! awesome! and u look v handsome in ur pic! lovely tribute rahul sir .. hats of to the ones who wear the uniform..
and you look handsome in the pic ..
A big thanks for the very kind comment, Jeevan!! I love the picture and just adore the poem. A salute to you all:Men In White. Wow ! What a an apt poem too! The picture of you with your daughter is really good. Must be missing donning the uniform and commanding a ship. However you, you have other things to do for you are fullfledged " Ulagam Shutrum Valiban" Now go and translate it by yourself, for it is in Tamil. 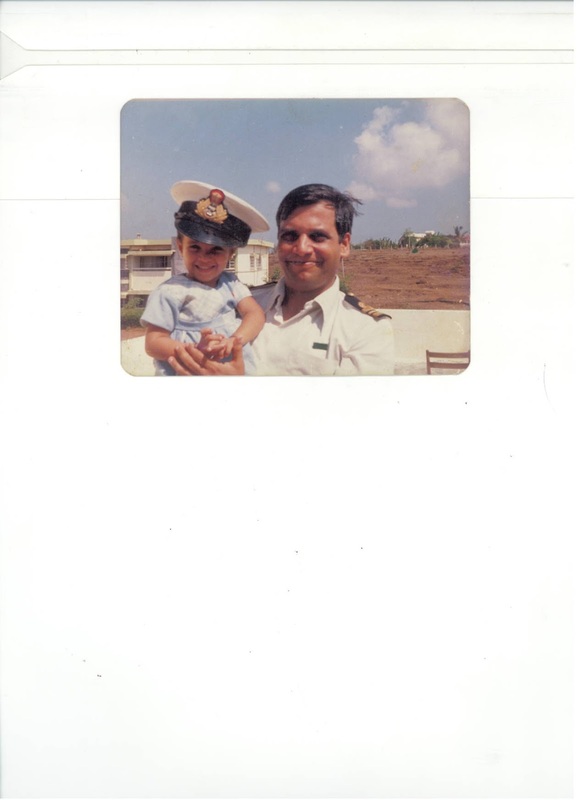 Thanks a lot Rama for having liked the poem and the pic both:) I have done my bit in the Navy, and believe in moving on while cherishing the memories !! A lovely tribute, this poem deserves to be framed and cherished for ever..
Misha, it is nice to know that you too were wooed by the white uniform and the sea:) Am sure you enjoy what you do even more!! Thanks for stopping by...Wishing you a Happy Friday! So that's a day to look back at the memories the noble profession gave to you, right? That's a very adorable picture at the end of the post. Beautiful!! Looking back at happy times is always so relaxing and to have been a part of great adventurous life, it means even more:) Thanks a lot for liking the pic at the end! Welcome to my blog, Ravikumar! Thanks a lot for liking!! Thanks for your kind comment...wish you well this weekend! superb tribute rahulji...I request you to join www.poetry.com and publish your works there. Rahul Ji,This is such a lovely poem coming direct from the sailors heart ! 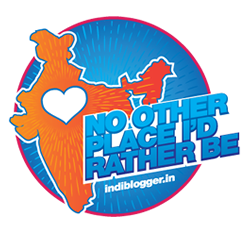 Welcome to my blog, Shobha and am very happy you liked it:)Look forward to see you again! Beautiful and heart touching tribute to the services, I would say. And the picture with your daughter is really beautiful. Applause, Ashwini for those great words. It is these men and women who deserve kudos to give up all comfort so that the rest may live in peace! Your poems are always lovely. Thanks a lot, Binu for those kind comments!